A table tennis table, bike rack and youth shelter arrived and the engraved brick footpath was laid. So it’s been a busy few weeks. The cricket fundraiser during the Summer was a great success for locals and visitors alike. The MUGA itself is now complete and looks amazing! Well done to everyone, particularly the YEG who have worked so passionately. We’re working hard to gain access to the MUGA while the remaining area is still being worked on. There is hope that we can all begin to use the MUGA by the end of October, with the main green space area, table tennis table, youth shelter and bike rack being ready in early 2018, once the Scout Hut is complete. We still need a further £5k – £7k to complete all the areas so donations will still be very gratefully received. Playdale, the manufacturer of the Brockenhurst MUGA, started work today and have already got one goal end up. We’re hopeful that the final few bits will be completed by the end of the month! It’s exciting to see the communities hard work and efforts actually becoming a reality now. It won’t be long until we’re all able to enjoy the amazing facility! As ever, donations are still required and gratefully received. Please see the links below and don’t forget to join our Facebook page! 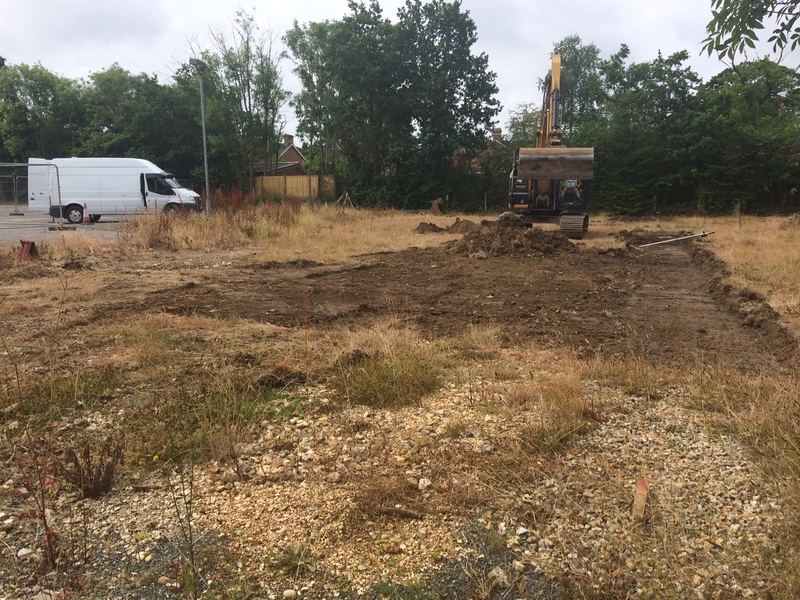 Work has started on the groundworks of the MUGA! Such an exciting time and a great achievement by the whole village. We are still busy fundraising and will continue to do so to raise the final £10-£15k, but with funds in place for the start of the build, we are on track to have the MUGA completed by the August Bank Holiday weekend! Or pick up a flyer at the Village Hall. Remember to like our Facebook page for all the up to date details. It’s been a busy month for the YEG and MUGA teams. Donations are still coming in and grants being awarded. 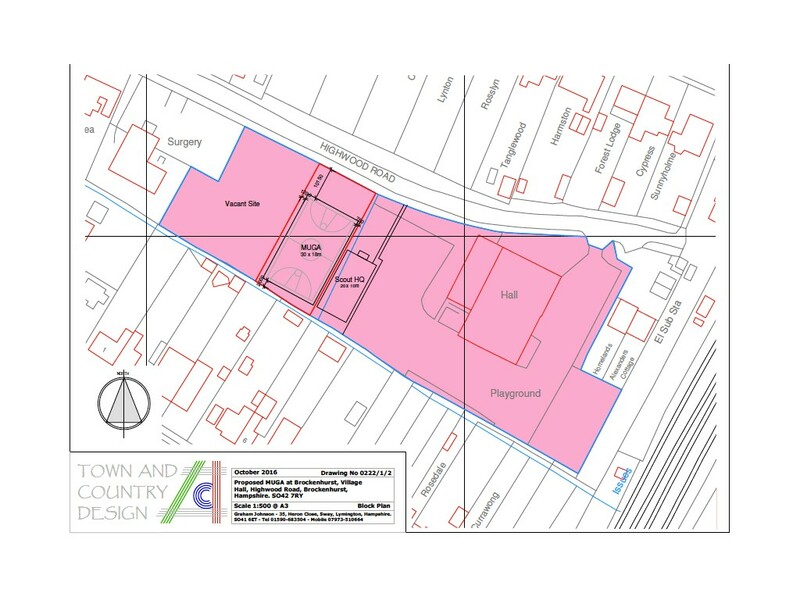 Contractors for the groundwork have been chosen and it is hoped that work will begin within the next 6 weeks. The New Forest Marathon Charity arm – Hampshire and Isle of Wight Community Foundation – awards the Brockenhurst MUGA £3700 and we received over £2500 from the Waitrose & Tesco token schemes. The Scouts have also donated £5000 which is an amazing contribution and we are really grateful for everyone’s support. One of the biggest successes was the ‘Swim the Channel’ challenge for the YEG. Over 60 youth participated in the fundraiser and they smashed the target of swimming 1344 lengths. By the end of the two day event at Lymington Health and Leisure Centre, they had swam 4755 lengths – equalling an amazing 73 miles. Over £5000 was raised through their sponsorship, a phenomenal achievement. More fundraisers are being planned – watch this space and check out the Facebook link. Brock MUGA has been successful in its Veolia funding application and has had a boost of £50,000. This is great news and really helps to keep momentum going and our vision for the Highwood Road site achievable. 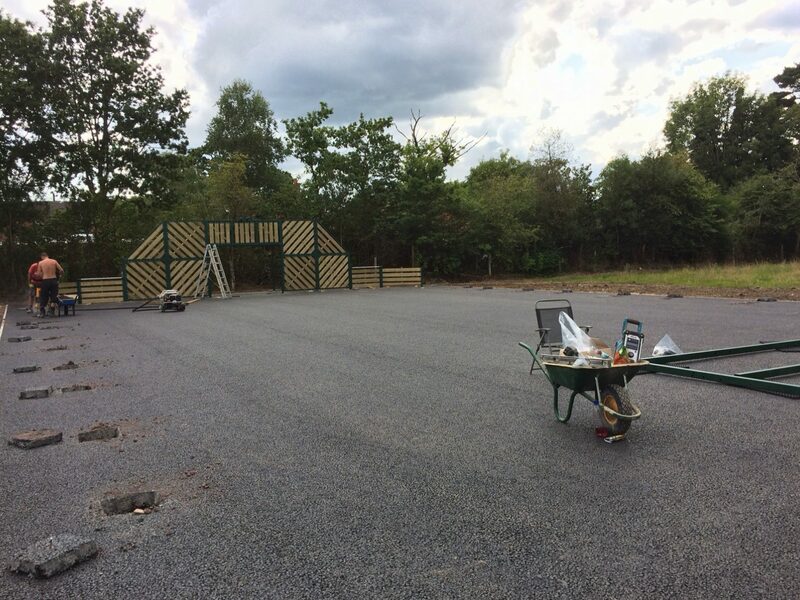 The MUGA team are nearly there with the pre-site works and it is hoped that groundwork preparation will be able to commence within the next few months – watch this space! Please keep an eye out in the village for posters about the latest fundraising events and on Facebook for the very latest updates and news. 1) Brock MUGA will be a green token charity in Waitrose, Lymington for all of March so please remember to put your counter in there for us, and don’t forget to tell your friends! 2) Brock MUGA will be a blue token charity in Tesco (Brock, New Milton, Blackfield (Soton), Dibden Purlieu, Hythe, Lymington (Metro & South St), Old Milton Rd Express, Highcliffe & Hythe Langdown) for March & April, so again please remember to put your counter in for us, and don’t forget to tell your friends! 3) Donations keep coming in – thank you – Brock residents should have had a flyer indicating how to donate but if you’re after any information in doing so, please contact us! 5) Put Saturday 1st April in your diaries. It will be the YEG MUGA fundraising date – lots of exciting games, activities and events planned. It will be held at Brockenhurst FC, who have been great with their support… watch out for more details soon. Now that the planning application has been GRANTED we are busy establishing the Youth Empowerment Group (YEG) and raising what funds we can. If you would like to be part of the YEG, please email us as soon as you can. If you are able to assist with funding, large or small, please use the links below. Whatever you are able to contribute will be really appreciated. Please keep on eye on the website for further updates and information and see notice boards around the village for future communications. 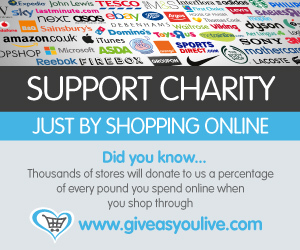 Don’t forget to GiftAid your donation so we can claim an extra 25p for every £1 donated. Please see the Village Hall if you require a GiftAid form, or if you complete a donation online you can accept GiftAid there. Thank you. 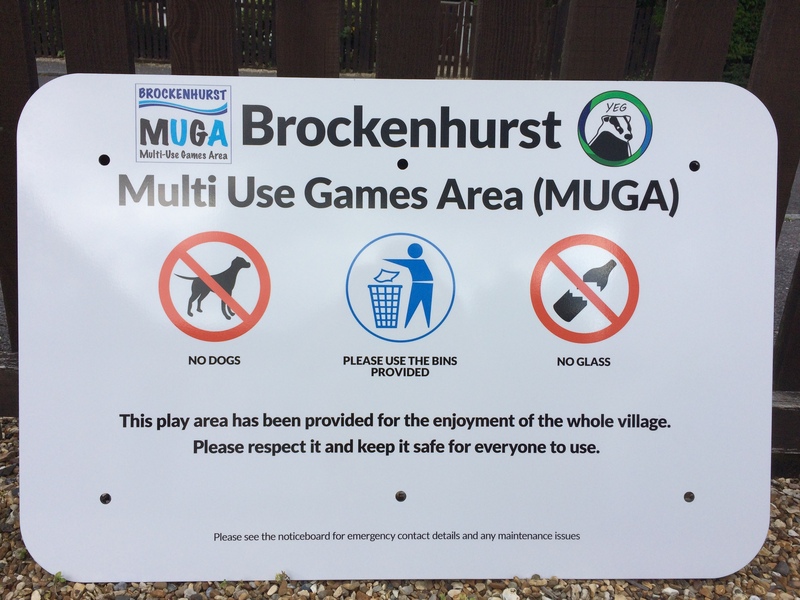 The Brockenhurst Village Trust (BVT) has agreed to support the development of a Multiple Use Games Area (MUGA) and village green space on the vacant Highwood Road site. The space can be used in such a way that the whole community can benefit. The area will be free to access and open to all residents and those visiting. Once constructed, the MUGA management team will be responsible for the ongoing maintenance of the site, and will be available if any issues arise or comments need to be made. 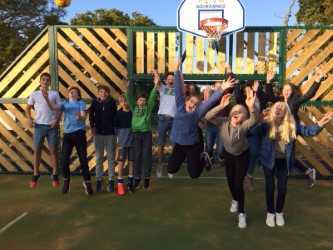 There will also be the establishment of a Youth Empowerment Group, made up of young adults and teenagers from the village, who will help take responsibility for the area and assist in the maintenance and management of the Brockenhurst MUGA. The management team will employ a booking system to enable Brockenhurst Primary School and other established social & community groups use of the court at certain times of the day. 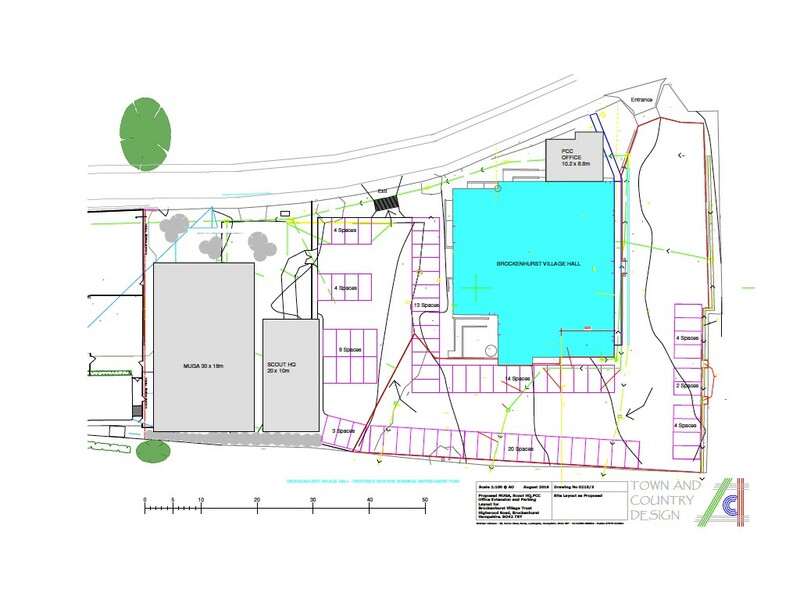 This will enable Brockenhurst Primary School to make use of the new facility and enable them to continue and develop their excellence in sport, as well as for other educational purposes. All other users, of any age or ability, can turn up and play when the court is clear. Outside of term time and at weekends it will be available for all throughout the day. If you have any questions regarding this, please do contact us. 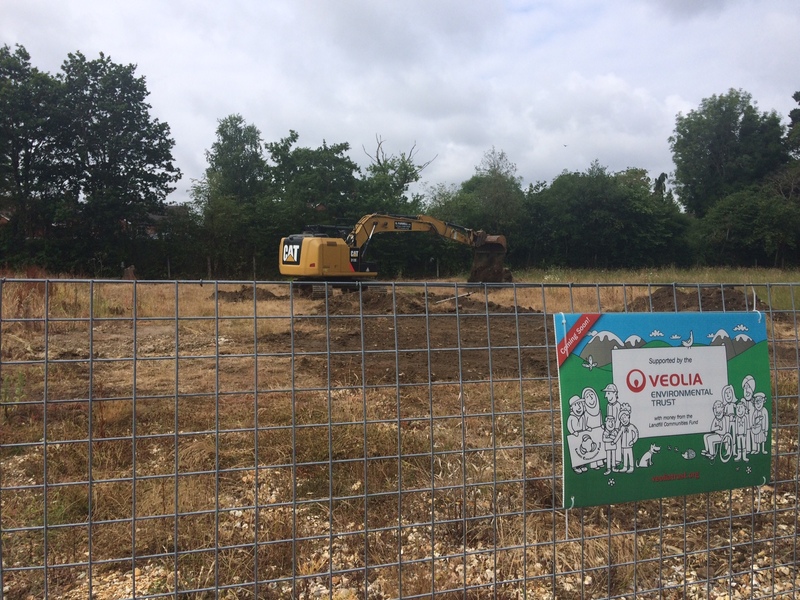 Thank you so much for your interest and support for the Brockenhurst MUGA – the village will soon have a fabulous asset! 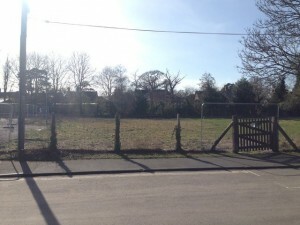 Please complete the questionnaire to help us get the MUGA you want for your village. 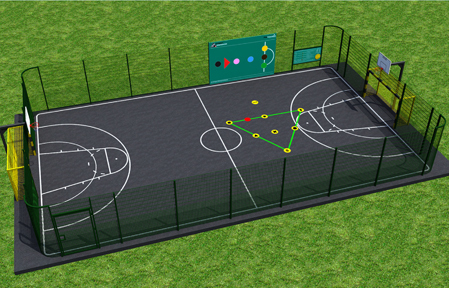 A Multi-Use Games Area is a sports court that can be used for a variety of different sports. It provides a cost-effective facility as it can be designed for a wide range of sporting demands. Lines can be marked onto the surface for sports such as basketball, netball, hockey and football. Future developments could include petanque. This is a grass area that will have a shelter/benches and flower borders. It will be a place for families to relax and enjoy. There may be picnic benches added too. Can there be a booking System outside of school hours too? This space is anticipated to be free and available for the village so we would hope that users would share and encourage all to join in. There will be ongoing reviews. Is there space for a tennis court? 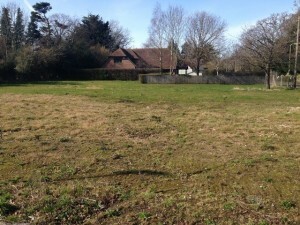 The site space does not allow for a tennis court as well as the Scout hut and green space. Tennis courts are available at Brockenhurst College. How will the maintenance and upkeep work? There is a maintenance team established to take over the management of the site once it has been built. The Youth Empowerment Group will also be available to assist the MUGA management team. 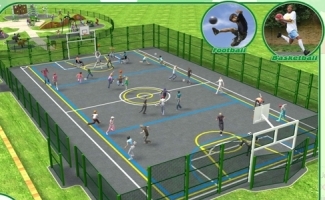 The following images are provided as examples of possible MUGA designs.